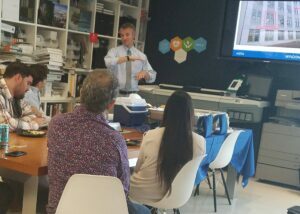 Gensler’s Miami, Florida office recently shared an hour of their time with NOVA staff. We took the opportunity to talk about the Building Envelope services we offer. Thanks for the hour Gensler! We enjoyed ourselves.